Home » Study » Apprenticeships » Why do an apprenticeship? An apprenticeship is a great way to earn a salary and learn at the same time. Your employer pays for your tuition, so instead of taking out a student loan, you won’t spend a penny on your programme – instead, you get paid a salary! It’s a great way to get a potential qualification without paying for it yourself. Some apprenticeships have the added bonus that they also give you professional accreditation. Some jobs require you to have specific accreditation and qualifications, which may be part of your apprenticeship, so having this will help you get in to a specific role upon completion. 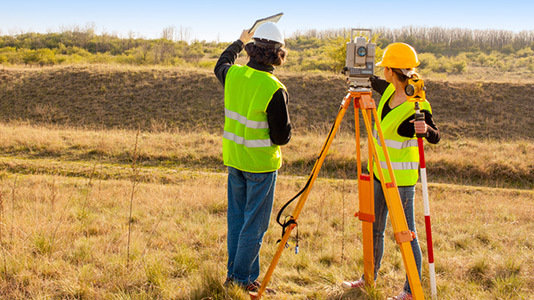 For example, as part of the Chartered Surveying Degree Apprenticeship you will also complete your RICS Assessment of Professional Competency to become a fully qualified Chartered surveyor and member of the Royal Institution of Chartered Surveyors. Part of the apprenticeship agreement is that you are in employment in a job role related to your apprenticeship throughout your studies. This means you have the extra strength on your CV of having relevant work experience – something employers are increasingly looking for. You will build contacts on your programme as well as professional contacts at work, helping you to grow your career from the moment you start. Take a look at our available apprenticeships.